Here's some more Star Wars Episode VII speculation to add to the ever-growing mix. In a recent interview, Gary Oldman confirmed Star Wars movie makers have approached him, or as he simply put it, "they've called." Oldman is hardly the first actor to be in the running for the J.J. Abrams sequel, but he does stand out because if Oldman is cast, it'll be his fourth major franchise. 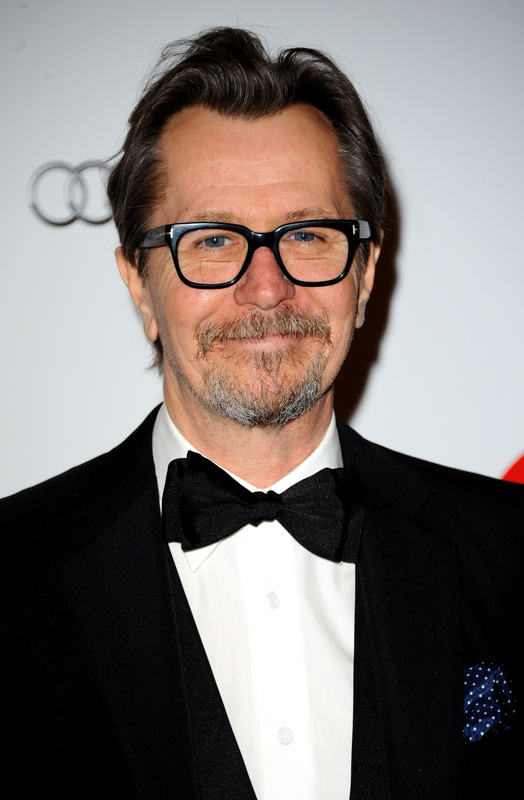 Previously, Oldman has played Commissioner Gordon in Christopher Nolan's Dark Knight trilogy and Sirius Black in the Harry Potter series, and he will soon appear in this summer's Dawn of the Planet of the Apes. In the interview with Sky Movies (below), Oldman even jokes about how crazy it all seems, saying "I mean, Planet of the Apes and Harry Potter and Batman and Star Wars, bloody hell." Those titles alone make up quite a resume, one that's even more impressive when you consider all of the other, more serious films Oldman has also starred in, like Tinker Tailor Solider Spy, which earned him a 2012 Oscar nomination for Best Performance by an Actor in a Leading Role. But before you get your hopes up, Oldman said he has learned to be cynical about such prospects, and for Star Wars, will only say "they've inquired." Oldman joins the rapidly growing club of rumored Star Wars actors that includes Micahel Fassbender, Hugo Weaving, Girls' Adam Driver, 12 Years a Slave's Chiwetel Ejiofor, Alex Pettyfer, Zac Efron, Ryan Gosling, Benedict Cumberbatch and Friday Night Lights' Jesse Plemmons and Michael B. Jordan, among others. It's quite a list, though no one else would be able to call Star Wars their fourth major franchise. So if Abrams is looking for someone with that much blockbuster experience, Oldman is his man.